We offer Thermocol Sheet to our clients. Having a pre-determined quality administration system, we are thoroughly betrothed in delivering Thermocol Sheet. Plain Thermocol Sheet is now widely being used by construction industry due to its unique features. The quality and size required for the industry is available in various sizes with different densities and top class quality with us. 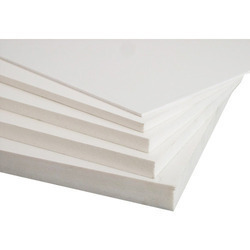 These Standard Thermocol sheets are used for insulation purposes of building structures. 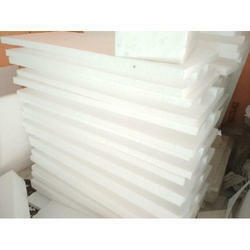 Thermocol (EPS) Sheets can be used for Insulation, Packaging and Decoration. Our EPS Sheets are compliant with standards as per IS : 4671 – 1984 (Bureau of Indian Standards), which mentions specifications for Thermal Insulation. Enriched by our vast industrial experience in this business, we are involved in offering an enormous quality range of Thermocol Packaging Sheet. Our company holds vast experience in this domain and is involved in the offering Thermocol Sheet. This Thermocol Sheet is used for packaging handicrafts and glass items.